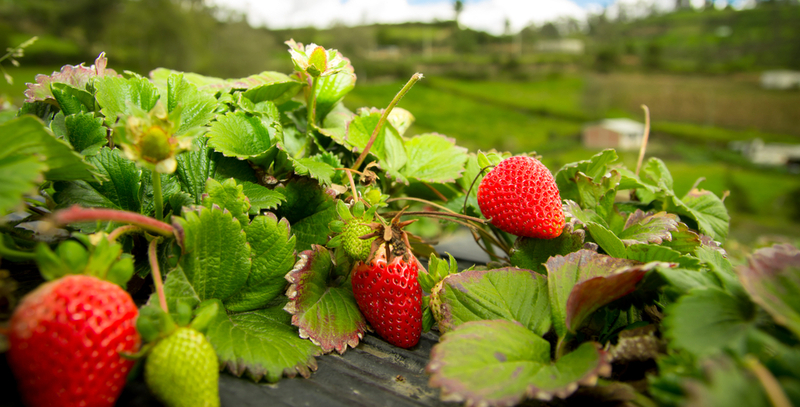 The Future Strawberry: Will the Loss of a Major Pesticide Help the Industry to Go Green? When it comes to growing strawberries, Farm Fuel, Inc., a Watsonville, California-based company, is on the cutting edge. The company grows wild and domesticated mustard and lightly processes the harvest into mustard meal, a soil amendment. They also work with farmers on a technique called Anaerobic Soil Disinfestation (ASD). 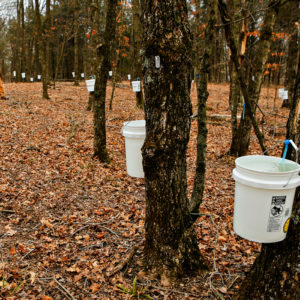 This precise farming technique involves applying a combination of water and carbon-rich material (think rice bran, grape pomace, mustard meal, and molasses), and then wrapping the soil in plastic. Under the plastic, the ingredients combine to create anaerobic conditions. The idea with both of these approaches is to kill the organisms that cause the long list of diseases that plague strawberry farmers–without pesticides or fumigants (a form of pesticide that treats the soil before anything is even planted). Why the search for alternatives? The restrictions Bourcier is talking about are no small change. For over 40 years, U.S. strawberry farms–88 percent of which are in California–have relied on methyl bromide, the pesticide that works like a “magic bullet” to control diseases, persistent pests, and weeds. Methyl bromide has made it possible for growers to blanket coastal communities—from Santa Cruz south to Ventura County—with acres of perfect red berries that sell for as little as $2 to $3 a basket. Now, after a very long, gradual phase out, this fumigant–also a potent neurotoxin, known for affecting the health of populations living close to strawberry fields and a contributor to the disappearance of the Dead Sea–will no longer be in use by 2017. Methyl bromide sterilizes the soil by killing off virtually all micro-organisms, good and bad. But the chemical also contributes to the thinning of the stratospheric ozone layer when it evaporates during application. For this reason, thanks to the internationally binding Montreal Protocol, it has been gradually disappearing from the marketplace since 1993. Now, most conventional growers–many of whom say there are no other reliable methods to eradicate pests and diseases–are scrambling for other options. Farmers and regulators have invested considerable resources into other fumigants, including the highly controversial methyl iodide—another known carcinogen and neurotoxin that is considered one of the most toxic chemicals on earth. But after public uproar, the manufacturer, Arysta LifeScience Corporation, withdrew it from the market in 2012. And while other chemicals are plentiful in the marketplace, some advocates of alternative farming methods see a positive side to the phase out: New organic and agroecological methods–like the ones Farm Fuel is working on–are on the rise in the $2.6 billion industry. A Real Sea Change? Or Just Different Pesticides? While the European Union phased out methyl bromide completely in 2013, the Environmental Protection Agency (EPA) has been granting so-called critical use exemptions (CUEs) since 2005. These have been granted whenever an industry argues that not using methyl bromide would create “significant market disruptions” and when there are “no technically or economically feasible alternatives or substitutes.” But after 2016, CUEs will no longer be an option. For California growers, this change is worrisome. Today, strawberry farms and nurseries account for nearly all methyl bromide used in agriculture. 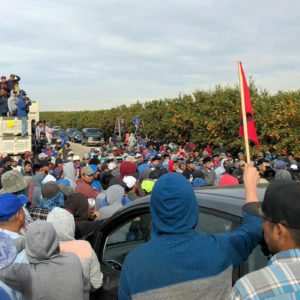 But they’ve only been granted a CUE for 412 tons this year, enough to treat 8,000 acres, or 20 percent of the 40,000 acres planted in strawberries, according to Carolyn O’Donnell, Communication Director at the California Strawberry Commission (CSC). In 2016, that number will drop to 255 tons–enough for only around 9 percent of the current strawberry acreage. To help growers make the inevitable transition, University of California and U.S. Department of Agriculture (USDA) researchers have spent several years testing methyl bromide alternatives, both chemical and biological, with well over $5 million in grants. Farm Fuel brought ASD to market in 2011, which was its first commercial introduction. 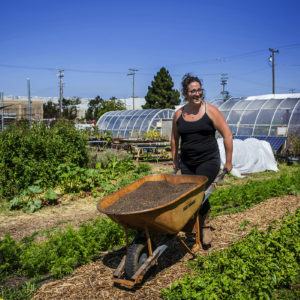 In 2013, California’s Department of Pesticide Regulation (DPR) awarded the company a three-year grant to introduce conventional growers to the non-toxic alternative. Currently, the company has 22 trial sites across California and another 28 commercial clients. It estimates that about 25 percent of the new acreage it treated in 2014 was on conventional farms. Farm Fuel also claims that it is cost effective, with a per acre cost of $2,700 compared to $3,900 or more for methyl bromide. Despite these efforts, most conventional growers will begin using other fumigants. In particular, the EPA recommends as substitutes chloropicrin and 1,3-D, and combinations of the two with other chemicals. Neither is considered as effective as methyl bromide and both have negative health impacts. After World War I, leftover stockpiles of chloropicrin—a weapon then nicknamed “vomiting gas”—were directed to agricultural use. Although its use is on the rise in the U.S., chloropicrin was phased out in Europe in 2013 due to respiratory health effects. The other go-to fumigant is 1,3-D, a known carcinogen produced by Dow Chemical. The DPR outlawed 1,3-D in 1990, but allowed it back on the market in 2004 with restrictions, anticipating its need in light of the phase-out of methyl bromide. “Slowly but surely the fumigant tools are going away,” says the California Strawberry Commission’s O’Donnell. The Commission also received a grant from DPR to study ASD in 2014. O’Donnell says that strawberry farmers are already in the habit of trying out new techniques on small sections of their fields—and that 20 percent of conventional growers also have organic operations. Plus, she says, “Anyone who’s working on strawberries—they’re all talking to each other.” CSC also hosts “field days” to help farmers connect to scientists. However, O’Donnell is hesitant to embrace biological controls because she says it’s unclear whether they’ll be able to perform as consistently as fumigants over the long term. What farmers need—or want—is another magic bullet. O’Donnell, whose organization represents approximately 400 farmers, points to the up-front investment strawberry farmers make, spending up to $20,000 per acre for the land, plants, fertilizer, etc. before they harvest a single berry. “If your crop peters out, you lose your investment—and sometimes your house or your business.” In other words, farmers have to be sure they’ll protect their investment or they won’t adopt new methods. Some farmers have been growing strawberries for years without methyl bromide. Take Jim Cochran, president of Swanton Berry Farm, a 75-acre farm in Davenport, just north of Santa Cruz. Cochran is also the first farmer to grow organic strawberries in the state. He sits on the board of directors at Farm Fuel and is part of the company’s ASD trials along with seven other strawberry farms, in collaboration with the Center for Agroecology & Sustainable Food Systems at U.C. Santa Cruz. Like any strawberry farmer, Cochran is concerned with pests and diseases and he is interested in ASD. However, for over 30 years he has relied on traditional organic practices such as adding compost to his soil and crop rotations. Each field gets planted in strawberries just once every five or six years. During other years the fields are planted with crops like cauliflower or broccoli—which are modestly profitable—or the fields are fallow with cover crops like alfalfa. On the other hand, conventional growers who rely on chemical fumigants grow strawberries in the same field every other year. “The multi-crop organic farm is vastly more complex than the single crop chemical strawberry farm. It requires much more management,” says Cochran. Crop rotation and organic methods are expensive and the yields are generally a little lower. “It’s not easy. What we’re up against is people who use chemicals and produce strawberries at $2.50 a basket and can still be quite profitable,” he says. As Cantisano sees it, controls—whether they are chemical or biological—allow farmers to forego building up the necessary soil foodweb. And fungicides wipe out soil flora, which create resistance to the very pathogens methyl bromide is used to kill. “The lack of a long-term crop rotation system eliminates the opportunity for the soil to cleanse itself biologically,” he says. Of course, it’s not just conventional growers who rely on methyl bromide. While organic farmers do not use it in the fields, their certified pest-free nursery “starts” (baby plants) are grown in soil sterilized with methyl bromide, just like conventional growers. This is legal for certified organic farms, and the justification is that even one diseased start could ruin an entire crop. According to Lisa Bunin, Organic Policy Director at the Center for Food Safety (CFS), “Both stages in the strawberry production process use enormous amounts of methyl bromide, and both represent critical junctures in the supply chain that need to figure out alternative production strategies.” According to a recent in-depth report by the Center for Investigative Reporting, CFS is leading a project to grow an experimental nursery crop of organic strawberry starts in Central California, and late last year, six organic farms planted those starts in soil for the first time. Meanwhile, it’s likely that companies like Farm Fuel will gradually make inroads into the market as they develop relationships with the many curious farmers willing to give ASD and other biological approaches a try. Back in 1996–just a couple years after the Montreal Protocol’s phase-out went into effect–some individuals at the EPA were already talking about non-chemical approaches. In a paper they released that year, the officials wrote: “Organic strawberry production is an effective integrated approach that offers an alternative to methyl bromide use for California strawberries.” Sometimes we have to look back to look forward. Photos, from top: Strawberries in the field (Shutterstock). Interns plant strawberry starts in an ASD trial field at the Center for Agroecology & Sustainable Food Systems at U.C. Santa Cruz (Brandon Blackburn). Thank you Jillian for this informative article. It uses the strawberry as an example to tell the story of how we can slowly move our agricultural industry into something more health and sustainable. I'd like to see something similar, again using strawberries as an example, on how water usage in agricultural production can be reduced. To sustain life and abundance on Earth, we must act as responsible citizens and consumers by paying attention and share what we've learned with others. Thank you to the author and this website for doing that. We make these choices every day - to buy a $5 basket of inexpensive strawberries grown by practices harmful to human and ecological health or a $7 basket that is grown in a way that sustains the health of our people and planet. I'll choose the latter and encourage those I know to do the same. If we spend more, maybe we'll be less likely to let it go to waste. Thanks for the great article Jillian! Considering the fact that most pesticides are not required to be tested for their effects to human and animal health prior to use, removing pesticides already found to be dangerous is "better late than never"! If only the Precautionary Principle could guide our decisions and Integrated Pest Management (IPM) was the law of the land: it seems worthwhile for farmers to be encouraged to avoid synthetic chemicals, only seeking out the least harmful chemicals when most in need. Let's use the Precautionary Principle and err on the side of caution when introducing replacements for methyl bromide. Thank you for this very clear description of the current state of strawberry farming. You have pointed out the underlying issue affecting all farmers. Nature designs for diversity and single crop farming eventually becomes unsustainable no matter how we try to game the system. Really great article on the current state of pesticide use and strawberries! Thanks for this thoughtful piece and for spreading the word about non-toxic alternatives to pesticides. Delia, thank you for that eloquent comment. I reread it a few times, and it gave me pause for thought. You summed it up elegantly. Are dry air and microwave methods of ASD considered organic? Have they experimented with different colored plastic, such as black, which may increase soil temperature. Any work with different frequencies of LED lights? I read somewhere that greenhouses are using them to kill and/or weaken pest larvae. What type of IPM would be used to attack fungus? Are there any hybrid strawberries that are more resistant to the fungus? GMO'S? David M. -- Thanks for raising interesting questions. I have not heard of microwave or dry air ASD (never came up in my research), or using LED lights. Sounds like you'd need a special, expensive combine, and part of the point with ASD is that it's accessible, 'lo-fi,' relatively affordable. Steam is another method, which is not much used because the tech to deliver it is very expensive, and in development... Yes, they use different colored plastics. In hotter areas like SoCal this stacks functions and also solarizes weeds... They are continually working on developing disease resistant strawberries. But doesn't that just make you want to grow your own heirlooms in the garden??!! It's incredibly exciting to see this shift on the horizon, and to read about innovations to bring about the kind of large-scale change we all need to move toward sustainable soil management. In this Year of the Soil, may we all learn of the incredible ways that compost and soil micro-organisms can work *with* us to make us and the planet healthier. SO much has changed in the last thirty years. Articles like this make me more hopeful and inspired. Thanks, Jillian! Thanks for the detailed, accurate story on many of the issues in strawberry growing. In regards to organically grown transplants, there was a farm producing high quality organic plants for about 5 years, who quit two years ago due to lack of support from the organic growers. They were growing at high altitude in the northern latitudes of California, the proven region for high quality plants for growers in Central and Southern CA. The cost was about 20% higher than conventional plants, not the $1 per plant you note in the comments, but the growers wouldn't buy them. As organic growers are not required to use organic plants, they used that loophole to avoid the extra expense. The rules need to be changed to require organic plants. Hi Amigo -- Thank you very much for writing. I think you're talking about Prather Ranch? The Aromas Grange growers were bemoaning that he closed the operation. Apparently, there is a nursery called Greenheart which produced 7,000 organic plug plants this year for trials at Coke, Swanton, and a few other farms. The strawberry commission denied a tiny $7500 grant, but partners are coming together... Farm Fuel is collecting field data and the Extension will analyze it. Excellent and informative article on this beloved berry, its history, present status and the promise of innovations like ASD. Thank you Jillian and to our Calif growers and researchers dedicated to healthy, responsible living.